It’s hard to believe that one year has already passed us by! Whether you’re riding around in your Harasser, flying the skies with your new Black Flame Camo or using one of the many new Nanite Systems and empire specific weapons, you’ve experienced the changes throughout the year. …And we aren’t stopping there. You can expect more performance updates, content and cosmetics in the future! To celebrate our anniversary, we have a full day planned to spend with our community and media networks. On Wednesday, November 20th, 2013, we’ll be streaming from 10:00 AM to 6:00 PM PST on our Twitch.TV channel. 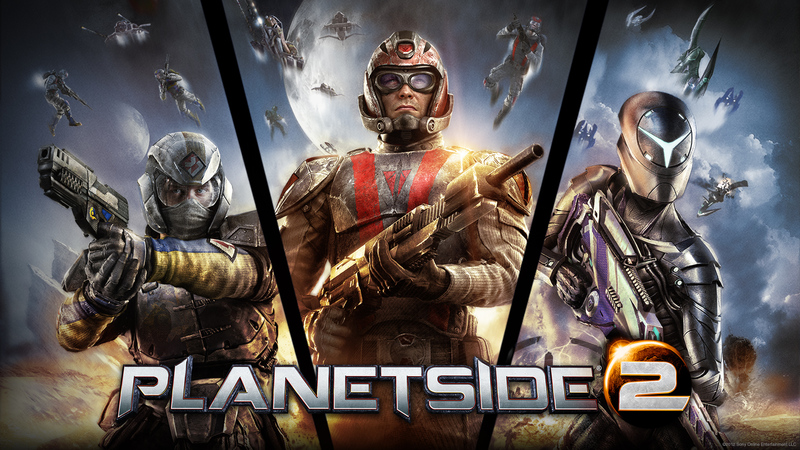 You’ll be able to ask the developers questions, play PlanetSide 2 with them and have a chance to win some great virtual and real-life prizes like…A bundle of PlanetSide 2 swag, NVidia graphics card and a grand prize PlayStation 4! So don’t forget to tune in!! 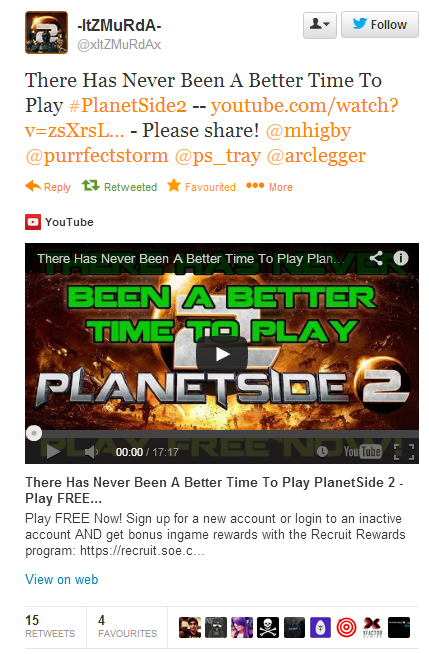 Also, as a HUGE thank you to all of our players, from Wednesday, November 20th, 2013 at 12:00 AM to Sunday, November 24th, 2013 at 11:59 PM PST, there will be double experience in PlanetSide 2. Prepare yourself for mass battle and lots of Certification Points, soldiers!